CD Wallets - Coda, Inc.Coda, Inc. Choosing the best way to display your products is a tremendously important step in preparing your CD/DVD packages for commercial sales. We cannot stress enough the importance of having a well-designed quality package. In fact presentation is "everything" since the way you display your products can drive user’s attention and make them interested in what you are offering, or it can simply turn them away. The more elegant and creative your style is, the better you stand a chance of generating interest while super bright, busy selections can be detriment to your projects. The CD/DVD wallet is an ideal, low cost marketing solution that allows full color digital or offset printing of your customized graphics including text and images directly to the wallet itself. Each panel or side can be printed front and back which gives you plenty of options to add graphics and other content information related to your package presentation. It features a sealed pocket on one end so you can insert a full color printed CD or DVD disc of your choice and you can also include additional pockets to hold printed inserts and booklets. CD/DVD wallets are printed on C1S 12pt card stock with aqueous coating which makes it a very lightweight and eco-friendly packaging solution. CD/DVD wallets also make it easy to add additional panels so you can extend your graphics and content information if you need more room. You can include track listings, bios, instructions and directions for example. Choose from our standard 4-panel, 6-panel and 8-panel wallets or customize your projects with as many panels you may like. Coda, Inc. currently offers 3 different types of openings for CD/DVD wallets—thumb notch cut, slot cut and crescent shape cut. See the specifications tab for more details. 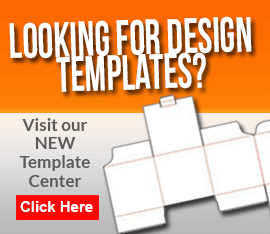 We also provide a series of different templates right on our website which makes it easy for you customize your projects. The CD/DVD wallet is great for direct mail campaigns since it is lightweight enough and does not include any plastic trays. However, this packaging presentation is so versatile it can be used in a number of different applications including music presentations, recording labels, educational programs, tradeshows and corporate presentations just to name a few. By choosing this type of package you will not be disappointed with our quality printing and vast selections.